Sorry for the late-ish post today, I was super tired after popping into town after work to attend a few press events and by the time I got home my brain was only functioning enough to sort out the images for this post. 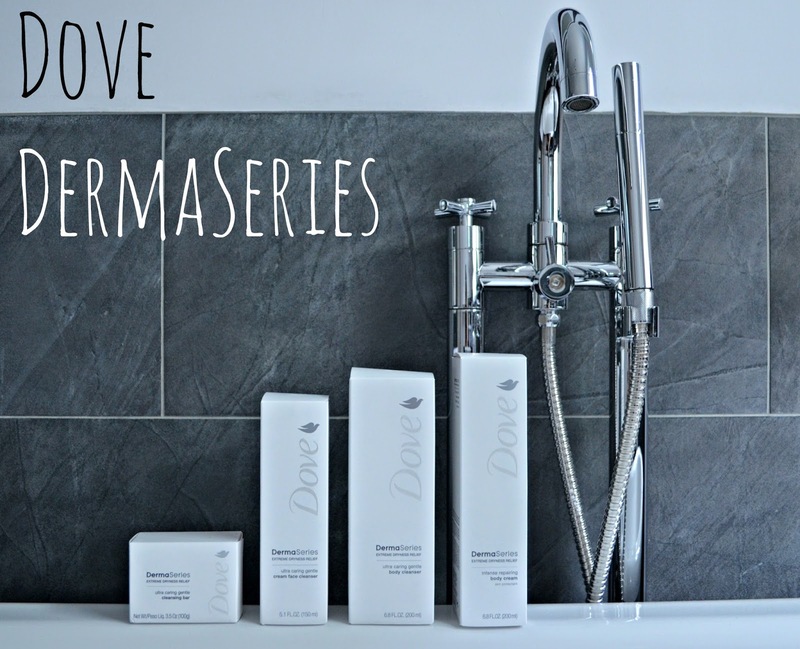 I really enjoyed shooting the photography for the Dove DermaSeries range as the stylish white packaging looks fabulously contrasting against my slate tiling in my bathroom. So on to the products... I am a Dove girl, as I find their product are really good value and have loads of great scientific research behind them, so I was really interested to hear about their new Premium skincare range that has been years in the research that launched this month exclusively in Selfridges as part of the Beauty Project. The DermaSeries range is designed for women with extremely dry skin and associated conditions such as eczema, who usually rely on pharmaceutical products for their daily cleansing and moisturising, which aren't always the nicest textures, fragrances and packaging. Designed by dermatologists, the products help to relive the symptoms of dry and irritated skin and help with skin barrier repair. Although I occasionally suffer from mild eczema when I'm stressed or when its hot and humid, I wouldn't really put myself in this category, however, the products being ultra mild and non irritating are great for dry-normal skin types too. 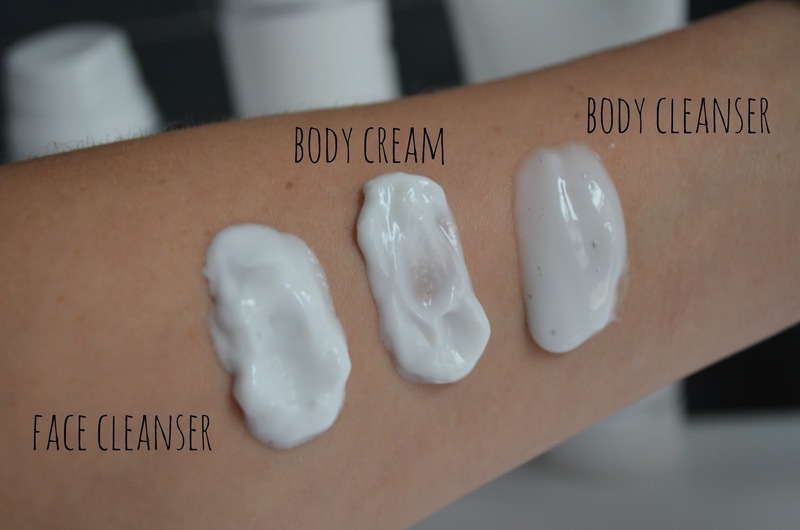 I've been using the Ultra Caring Gentle Body Cleanser (£16), the Ultra Caring Gentle Cream Face Cleanser (£14) and the Intense Repairing Body Cream (£16) the last week and I've really been enjoying using them. Although super mild and gentle, the face cleanser removes all my makeup with no difficulty, although I do miss the squeeky-clean feeling from the recent foaming-cleanser that I was using, but this feeling is due to stripping all of the oils from your skin, which is not good for sensitive skin. 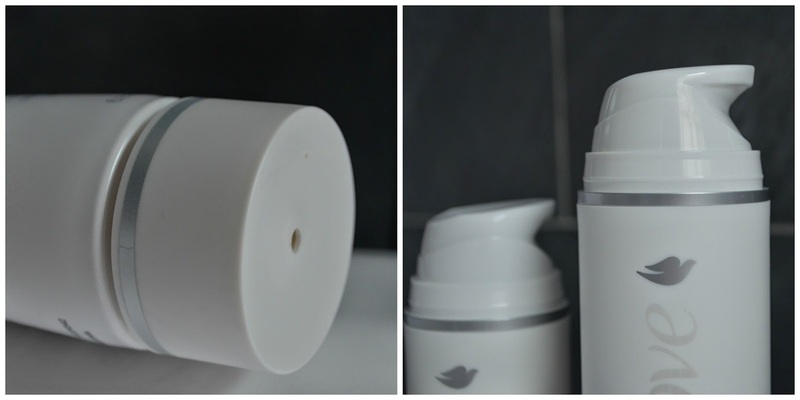 The products are thicker, creamier and more luxurious than Dove's normal body washes and moisturisers, which I really like, and the packaging is much more stylish. The dispenser of the body cleanser is particularly good, as being a bit lazy, I love that I don't have to remove the lid in the shower! The range also includes an Ultra Caring Gentle Cleansing Bar (£8 - pictured), Intense Repairing Rough Patch Treatment (£14) which is a bit like Elizabeth Arden 8 hour cream and Intense Repairing Skin Relief Cream (£14). 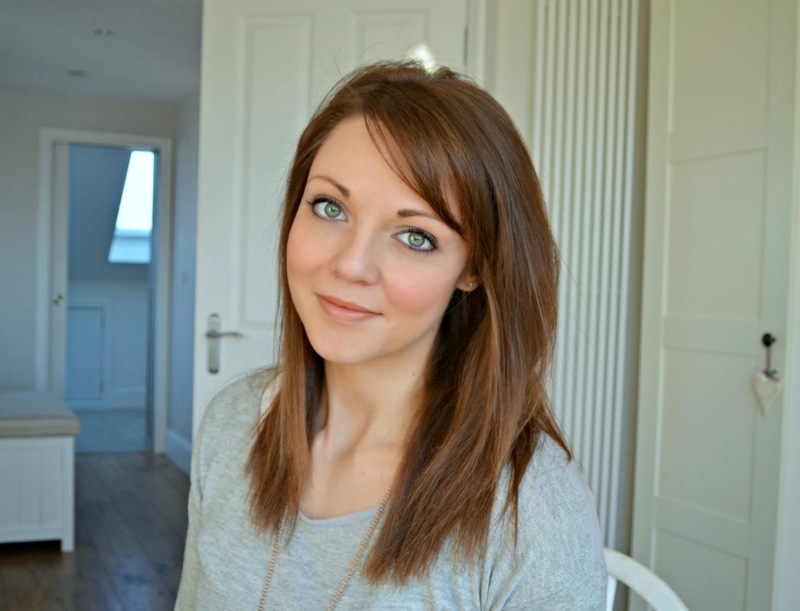 This Sunday (18th May 2014) Dove are offering one-to-one consultations with their skin experts regarding either dryness or skin tone at the trestle tables at Selfridges. 20 minutue appointments are available from 1.05 pm until 4.00pm and will last 20 minutes. To book, please contact the Beauty Workshop on 0207 318 3647.